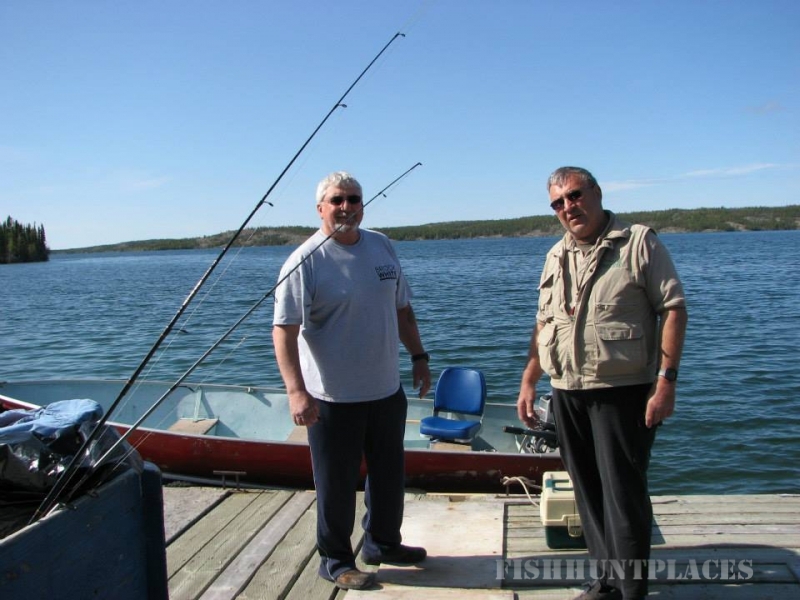 We fish by trolling around the lake, however jigging or casting techniques are also used, especially from the raft (our 8’ x 20’ pontoon boat). Or try your hand at fly fishing which has become very popular. 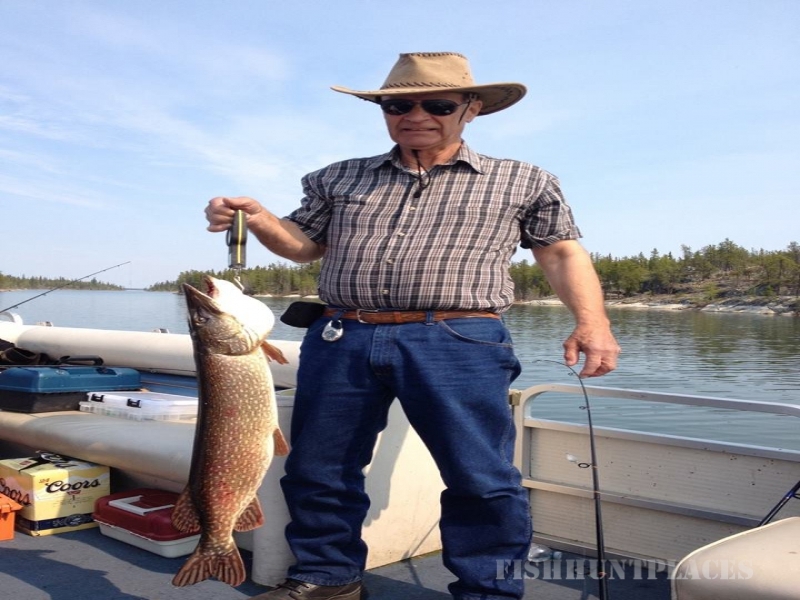 The lake provides an unforgettable adventure in fishing for lake trout, northern pike and whitefish. 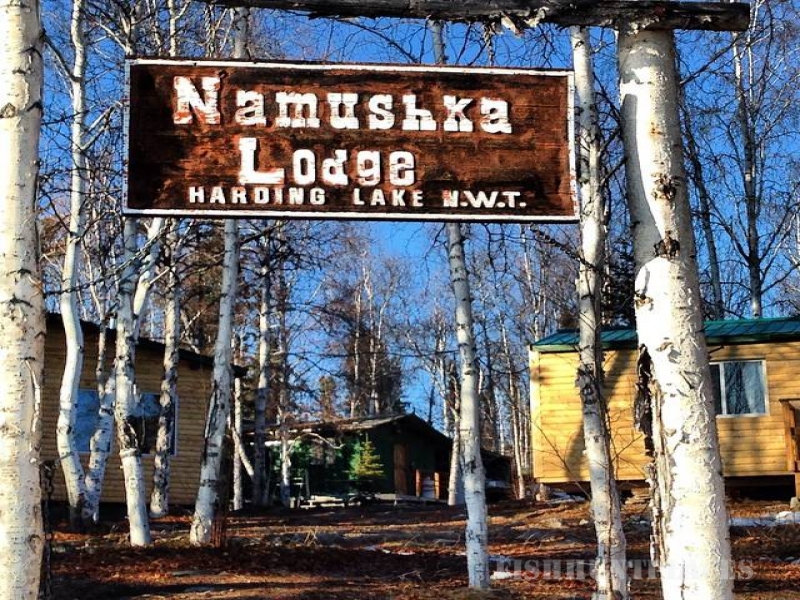 Within an easy and pleasant 5 min walk from the shores of Harding Lake guests have access to good walleye fishing at another secluded but smaller lake. In early summer, daylight never fades. So at midnight if you wish you could still be out on the quiet shimmering waters of Harding Lake. 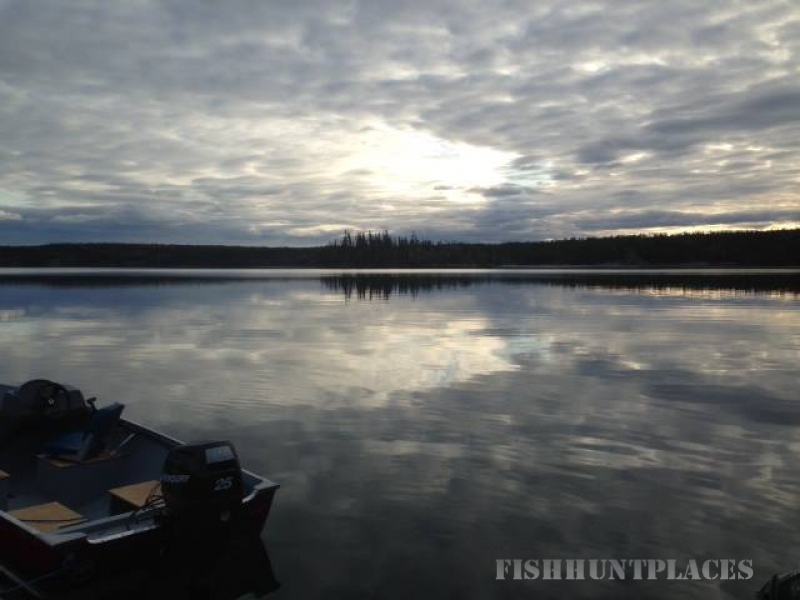 We encourage our guests to use barbless hooks so they may release unharmed the many fish they may not keep, barbless hooks are NWT government regulation.